Know what you need when you step into a showroom to buy a 2008 Ford Econoline. The options list is bewildering, not to mention the drivetrain and chassis choices. Ford also offers integrated cargo-storage systems and racks that make the Econoline ideal for some businesses; you may want to sketch out what you need before shopping as well. TheCarConnection.com's editors read the latest reviews on the new 2008 Ford Econoline to write this comprehensive review. This research and past experience with the Econoline van helps deliver a definitive opinion on the Econoline, so you can compare it with other cars in the class and decide if this full-size van is the right vehicle for you. 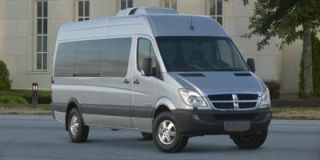 The 2008 Ford Econoline is a very specific vehicle for drivers with very specifics needs, and the low numeric rating given by TheCarConnection.com is in comparison to the spectrum of vehicles on the road. In its class, for its intended duties, the Econoline only has a couple of peers, and it's good at its intended use: hauling the absolute maximum amount of cargo and people allowed, short of a school bus or a tractor-trailer. The engine lineup in the Econoline starts with a 4.6-liter V-8, while a 5.4-liter V-8 is an option. Four-wheel drive is available, and the Econoline can tow a substantial amount of weight behind it. Even in its lightest form, with the higher-output engine, the drivetrain's performance is more akin to moving a house than moving a vehicle. Ford's vans are large enough that they are not required to report fuel economy to the National Highway Traffic Safety Administration (NHTSA), but TheCarConnection.com's editors have observed no more than 12 mpg in some versions of the Econoline and in Ford trucks with similar powertrains and curb weights. The 6.8-liter V-10 option has the most kick in this class at 305 horsepower, and Ford also offers a diesel on some versions, which would be the most efficient option. Four- and five-speed automatic transmissions are offered, and in Ford's heavy-duty trucks, the gearboxes have felt reasonably smooth. The 2008 Ford Econoline can tow up to 10,000 pounds, and a Class IV towing hitch is available. Ford promises steering and handling upgrades with this year's model. 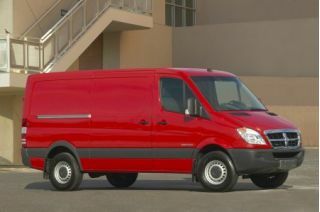 While the editors at TheCarConnection.com have not driven this year's edition, a recent drive in the previous Econoline showed its handling to be about what you'd expect for a van. There's no need to push these vehicles hard, and the ride and steering are tuned for safe transportation, nothing more. In terms of safety, the Ford Econoline does not offer side impact airbags, and stability control is standard only on the E-350 Econoline, while anti-lock brakes are standard across the line. The NHTSA has issued statements on the rollover risk associated with the largest full-size vans, and Ford has agreed to make stability control standard equipment in the future. The Econoline earns a three-star rating for rollover protection. The Econoline can be ordered with seating for 2 to 15 people. Bench seats are shuttle grade (airport, not space), and the Econoline's interior is fine, but not luxurious by any means--although a DVD entertainment system is offered. Ford's attempts to spiff up the 2008 Econoline meet with limited success. Traditionally more concerned with function than form, designers of the 2008 Ford Econoline have this year given some attention to dressing up the workhorse--though the jury is still out as to whether the makeover is as radical as Ford's marketing department claims. The 2008 Econoline sports a new fascia, dual stacked headlamps, and bumpers in addition to the big, bright grille. Kelley Blue Book admits that the changes "give the E-Series a slightly new look." Whether the look is successful is another question. Edmunds.com says, "Ford is obviously hoping for a more macho look here, though it's not entirely cohesive." Inside, they report, there have been fewer changes. Most reviewers agree that style is not the selling point of the Econoline. Ford has made token efforts to keep the van looking fresh, but as Automobile Magazine points out, "the utilitarian mission of the E-Series precludes any flair... [and] many of these vans will either be used to take people to the surgeon's table in ambulance guise or end up in the operating room themselves, being chopped up into extravagantly decaled conversion vans." Cars.com mentions that the XLT Premium package offers "aluminum wheels and running boards, as well as two-tone paint" and that the updated grille "serves another purpose in addition to making the vehicle look more defined: it allows more air to pass through the cooling systems." 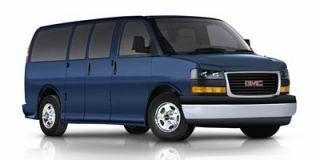 As Cars.com points out, several of the models are intended for commercial use, so inside the Econoline frills are minimal, though the XLT Premium version does offer captain's chairs and an overhead console. The base structure, inside and out, really hasn't changed much, according to Edmunds.com--and that's not necessarily bad: "For upfitters, or those who turn E-Series vans into commercial vehicles... any change to the Econoline's basic structure and dimensions means they also have to change the dimensions and tooling of their customizations... [So] a cargo van that looks different, but is still very much the same. For many E-Series customers, that is the best news of all." If getting quickly into and out of tight parking spaces is a must, the 2008 Ford Econoline is not for you; but for hauling or towing heavy loads, the E-series can do the job well. Unsurprisingly, nimble handling and sharp acceleration are not found in descriptions of the 2008 Ford Econoline's performance. As Car and Driver tactfully points out, the 2008 Econolines are easier to drive than their predecessors, but "agility is not part of this equation." The folks at Edmunds.com are a little more blunt: "the Econoline van is still a massive full-size vehicle with a huge turning circle that can make it awkward to maneuver in city traffic." Cars.com, however, does give the smallest of the series, the E-150, marks for having "relatively light steering" and decent maneuverability, though it reports that compared to smaller vans, the 2008 Econoline requires "more effort... when parking the van and when judging your position on the highway." They also criticize the van for requiring "more steering correction on straightaways," though they do offer the faint praise that "it's reasonably stable." On the other hand, Edmunds.com relents a bit on the criticism of the Econoline's handling when out of the city, saying it "improves dramatically during highway travel, where driver and passengers alike can relax and enjoy the E-Series' improved road manners and smoother ride." Comparing the experience of driving a Ford Econoline to "piloting a big SUV... [with] a bit more rear overhang," Kelley Blue Book reports that steering is "moderately dampened to give the driver some sense of the road"; when the van is fully loaded, the ride is described as "fairly smooth." Given the number of models in the series and the fact that the van is marketed both to families and to commercial users, when it comes to the Econoline, Ford offers a variety of engine sizes. The base engine, a 225-hp, 4.6-liter V-8, gets moderate reviews by most sources consulted by TheCarConnection.com. Kelley Blue Book's judgment is typical of the reviews, saying it offers "good power and torque for the standard-wheelbase models." The 255-hp, 5.4-liter V-8, all agree, is generally a better choice for most drivers, especially when talking about the longer and/or heavier versions of the 2008 Econoline. Cars.com says it is "strong enough to deliver satisfying and safe response," and Edmunds.com recommends it, considering that it "takes a lot of grunt to get more than 2.5 tons rolling." For serious towing or heavy loads, reviewers recommend either the 305-hp, 6.8-liter 20-valve V-10 that puts out 420 pound-feet of torque or the 235-hp, 6.0-liter diesel 32-valve V8 that produces "an impressive" 440 pound-feet of torque. NewCars.com likes the 6.8-liter model for its "abundance of torque for more passing and pulling power," while Edmunds.com prefers the diesel V-8 for "its superior torque and added cruising range." Kelley Blue Book disagrees with the latter assessment, saying the extra $7,000 to upgrade to the diesel V-8 is "difficult to justify"--especially given the V-10's higher horsepower and comparable torque, even if at a higher rpm. Both the 4.6- and 5.4-liter engines come with a four-speed automatic transmission with overdrive. The two larger engines, along with the 5.4-liter in selected models, have a five-speed automatic transmission. According to Kelley Blue Book, most models of the 2008 Econoline are available with an engine-only traction control system; in the E-350 with the 5.4-liter V-8, the AdvanceTrac traction control is standard. Note: The 2008 Ford Econoline Wagon does receive kudos from Edmunds.com for "modernizing the handling dynamics with a revised front and rear suspension, refining the steering and adding an all-new braking system," changes that "elevate the drivability and ride" to be on a par with its main competitors, the Chevrolet Express and GMC Savana. While the Ford Econoline is sturdy, it’s not a luxurious ride; think hiking boots, not house slippers. While reviewers have nothing negative to say about the quality of the 2008 Econoline, they are decidedly lukewarm when it comes to praising the vans in terms of comfort. Edmunds.com points out that the Econoline's optional captain's chairs "offer individualized comfort for smaller families," and mentions that the all-new rear seats in the 15-passenger models are an improvement over previous offerings. They say the van loses marks, however, because legroom is "a bit tight for those sitting in the second row." Testers at Cars.com report that after only a short time behind the wheel, it's "nearly possible to forget the E-150's truck origins"--not exactly a gushing accolade, though they do praise the 2008 Econoline for having engine drone that is "less noticeable than in Ford vans of the distant past." They're more impressed with the visibility afforded by the height of the vehicle, and note that "getting in and out isn't too difficult despite the high stance." Of the comments on comfort reviewed by TheCarConnection.com, the most positive came from Kelley Blue Book, who write that with the Econoline, Ford has "done a good job minimizing the vastness of the E-Series' instrument panel." While they admit that audio and climate controls are a bit of a reach, the presence of "redundant controls on the steering wheel greatly reduce the number of times you'll need to stretch your arm." They also like the lowered door handles, which mean one doesn't have to reach up to operate them, and they approve of the lower edge of the side windows that give passengers "a good view in all directions" as well improve visibility for drivers, allowing them "to see objects that might not appear in the sideview mirrors." Edmunds.com is less enthusiastic about the cockpit of the Econoline, saying that despite its redesign, 2008 Ford is "still a 1990s time warp inside with essentially the same instruments, switchgear and broad, ovoid dash as before." They admit that the setup is functional and logical and acknowledge that "most customers in this segment aren't expecting much else." The 2008 Ford Econoline has some weaknesses when it comes to rollover avoidance, especially in the larger versions. All 2008 Ford Econoline vans have four-wheel anti-lock disc brakes and electronic brake force distribution as standard features, along with front seatbelt pretensioners. Edmunds.com reports that the E-350 Super Duty with the 5.4-liter V-8 "features standard AdvanceTrac stability control with a rollover avoidance system"--though NHTSA anti-rollover ratings for the 15-passenger E-350 are slightly worse (30 percent as opposed to 27 percent) than for the E-150. Traction control is optional on models without the stability control system. Cars.com reports that suspension components have been upgraded in the 2008 Econoline, and that "the E-Series now has heavier-duty sway bars and larger brakes." The standard crash protection features of the 2008 Econoline include second-generation driver and passenger airbags (the passenger airbag can be deactivated manually with a switch); headrests on the two front seats, anchors for child seats, and front and rear outboard three-point shoulder and lap belts are also standard. Cars.com points out that side-impact airbags are not available, and Kelley Blue Book notes that with the Econolines, Ford doesn't offer child door locks or engine immobilizers. None of the E-series have been rated by NHTSA for frontal or side crashes. 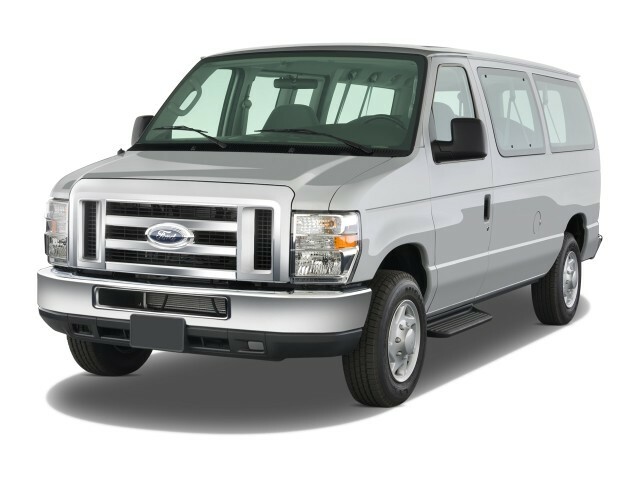 For those looking to outfit a van with efficient ways to carry a lot of stuff or moderately comfortable ways to carry a lot of people, the 2008 Ford Econoline is worth considering--just don't expect heated seats or cooling cupholders. True to its nature and purpose, the 2008 Ford Econoline offers features geared more toward the commercial user than the family driver. 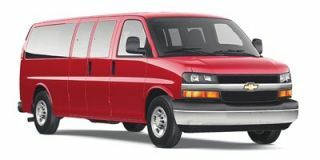 While the options list for the Econoline does include "amenities like leather trim, CD changer, [and a] power driver seat," the folks at Edmunds.com, like all others whose comments TheCarConnection has read, emphasize that the cargo capacity and hauling capabilities are what the E-series is all about. Ranging from 237 cubic feet (enough for 7 passengers) to 275 cubic feet (15 passengers), the E-series vehicles are designed to allow you to carry a lot. Kelley Blue Book lauds options such as the Masterack tool storage system and the QuietFlex rack and bin system, which "allow owners to custom-tailor their vans to better suit specific work-related requirements." Enhanced security features like side and rear doors that unlock only with a key rather than the keyfob have been designed with the Ford Econoline's commercial user in mind. The optional Reverse Sensing System, however, which warns about objects behind the vehicle while backing up, should appeal to families with children playing (or leaving toys) in the driveway as well as to contractors wishing to, as NewCars.com puts it, "prevent potential parking lot mishaps."